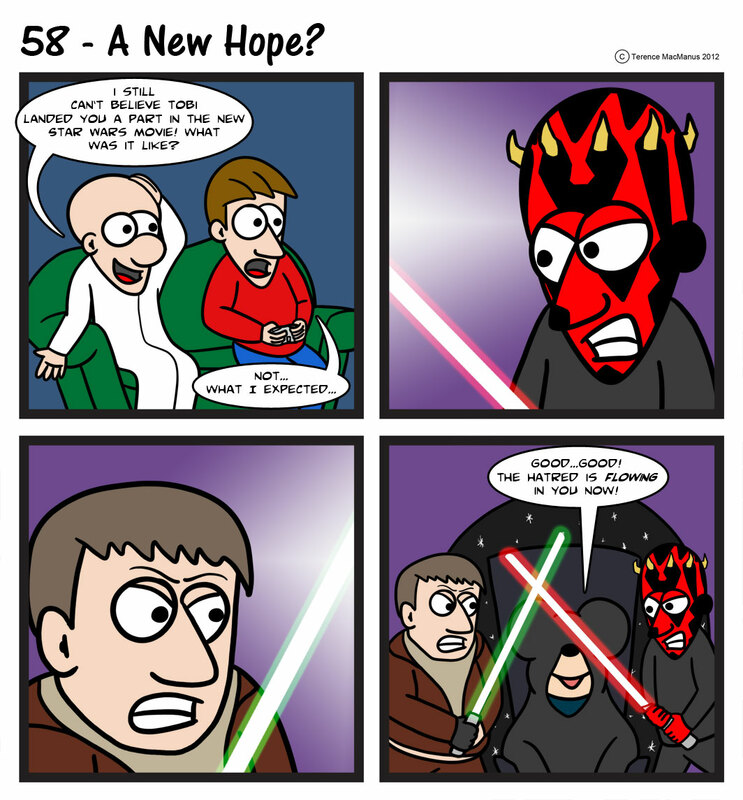 58 – A New Hope? So, today’s comic was a pretty big learning experience for me! I am a Star Wars fan from way back; I was lucky enough that the first time I saw the movies it was on the big screen, during the re-release to celebrate the 20th anniversary (1997). It was magical, and I’ve loved the universe ever since (well, mostly)! I’ve put a more detailed explanation of what happened with the original version of the comic on the Average Joe Facebook Page, as well as a photo of the section I changed for the site, so be sure to check it out there for the amazing exclusive content! Thanks for reading, Averagexperts, and we’ll catch you all again on Wednesday! Using “Star Wars” and “Enterprise” in the same sentence! The nerve! And Disney just purchased all the rights to the Star Wars enterprise hence Mickey Mouse in the final panel…. They are planning 3 new movies! We’ll have to keep an eye out for Joe!